Based in Whiteley, Hampshire, Rosenthal Architectural Services bring a modern approach to the process of designing for and obtaining the permission to extend or convert your home. If you need plans, drawings or a complete service to help you build your dream extension then contact us now. We produce high quality low cost plans for Planning Permission, Building Regulations and Structural calculations for your new extension, loft conversion, garage conversion internal alterations and new build. Based just off Junction 9 of the M27 we are within easy reach of Southampton, Winchester and Portsmouth. Once it has been established that Planning Permission is required, an appropriate submission must be made to the Local Planning Authority. 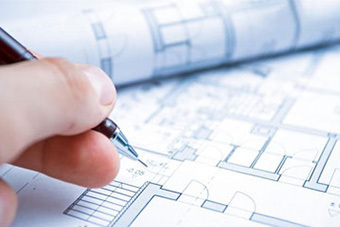 Architectural Services will complete the application electronically, forwarding plans, diagrams, site location plan and any other supporting information needed for purposes of consultation with various statutory bodies. These form the basis of the working file, which is subsequently assigned to a Planning Officer. Should the development involve a Listed Building or demolition in a Conservation area, further application forms relating to this may need to be completed. The application fee must be paid before the application can be processed. Building regulations are entirely separate from Planning Permission. Rosenthal Architectural Services produce all the building regulations drawings, specifications and structural calculations required. We can act as your agent and submit the application to Building Control and liaise with them to gain the required Building Control approval. All extensions, conversions and structural alterations require building regulations approval for the work you are carrying out. Building regulations promote standards for most aspects of a building’s construction, energy efficiency in buildings, the needs of all people, including those with disabilities, in accessing and moving around buildings. They are separate from planning permission and for most developments you will need building regulations approval. We provide all Structural Calculations required by your Building Control department for your loft conversion, house extension, garage conversion, annexe, internal alteration or load bearing wall removal. Why are Structural Calculations needed? Structural calculations are requested by the Building Control department to accompany a Building Control application, to show that the structure that you propose to use in your house extension / development is appropriate and will do the job of keeping you and your property structurally sound and safe.